Having your first baby is a time when you need all the support you can get from family, friends and employers. Knowing how to appeal to their "better" side is a huge help - especially if you're looking for financial support. 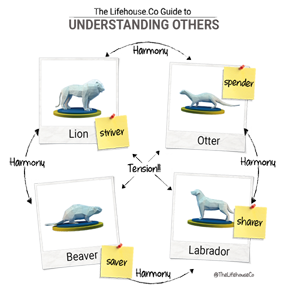 The first step to understand others is successfully understanding yourself you’ll already be familiar with your ‘animal’, as you’ve done our personality quiz. And everyone around you is an animal, too; the trick is to work out which one they are, then adapt how you communicate with them. 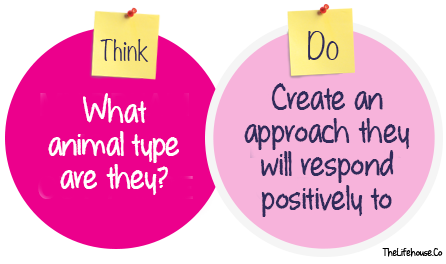 Once you’ve worked out their animal, tweak your behaviours to get the best results. LABRADORS live for family and to help those they love. They will be more than happy to help as you start to build your own. BEAVERS are all about security and self-protection. Show them how you plan to protect and nurture your child. It's also worth remembering animals who sit diagonally opposite each other (on the next card) naturally have different viewpoints on life - be aware of this when speaking to the animal type that sits opposite of your own. Get the answer you want!